More and more royal jelly benefits are coming to light on an almost daily basis. 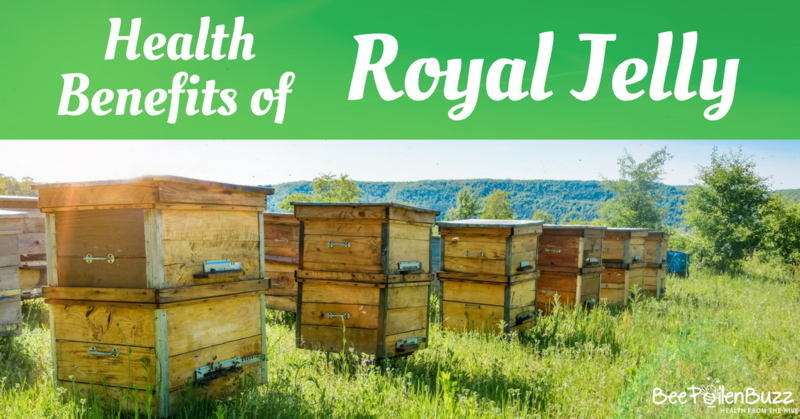 I'm very happy to report to you the results of several more studies done on royal jelly and how this amazing food can benefit your health and the health of your loved ones. Arthritis sufferers are going to be very excited about this. Recently a group of scientists got together to develop a potential medicine for rheumatoid arthritis. They choose to study a compound in royal jelly called 10-hydroxy-2-decenoic acid. We'll just call it 10H2DA for short though. I won't bore you with the scientific details, but what the researchers found was that the 10H2DA blocked two pro-inflammatory signaling pathways. This means that one of the benefits of royal jelly is that it helps 'turn off' the message that your body wrongfully sends out when autoimmune issues are present telling your body to 'create inflammation'. Inflammation is a natural and needed response for healing when you have an actual injury. In conditions like rheumatoid arthritis and other autoimmune diseases, there is no injury to repair so excessive inflammation is not needed. It is through this process that the body wrongfully attacks the tissue and over time, destroys the joint. Preventing this response from your immune system is vital and royal jelly may have a role in supporting optimal immune health. This study didn't surprise me one bit since I've had so many of our clients tell me about the hormone balancing properties of royal jelly. But having more scientific proof is never a bad thing so here are the details. Adult male rats who were given royal jelly experienced a significant increase in the weight of their testis and sperm counts as well as testosterone levels. They also experienced an increase in the percentage of live sperm while reducing the percentage of abnormal sperm. The scientists went on to say that "Royal jelly is known as a sexual tonic and used for treatment of impotence, infertility, and significantly increase lutinizing hormone levels. This effect could be attributed to the central effect of royal jelly." A recent article in the Journal of Agricultural Food Chemistry looked at an antibacterial compound found in Royal Jelly called Royalisin. While the details of the study are extremely technical and beyond my nutritionally trained brain, the conclusion of the study was that this compound in Royal Jelly, Royalisin, displayed strong antibacterial activity against several common bacteria. I recommend using Royal Jelly throughout the cold and flu season each year. There have been other studies on the immune modulating properties of royal jelly that I have reported on and this recent study further verifies these studies as well as the excellent results I see in the real world. Taking both royal jelly and bee propolis is a bulletproof way to protect yourself each winter from those nasty colds that make the rounds! The amount of environmental pollutants accumulating in our water, air and land is staggering. Unfortunately, there is no way to completely avoid exposure to all of these toxic substances. The next best thing is to protect yourself with compounds that have the ability to limit the cellular damage that these toxic compounds cause in the body. Scientists set out to find if Royal Jelly is one of them. They took onion cells and exposed them to both toxic petroleum waste with royal jelly and without at different doses. What they found was that each dose of royal jelly provided protection against the wastewater toxicity, and the strongest protective effect was observed at the highest dose. So what does this all mean? 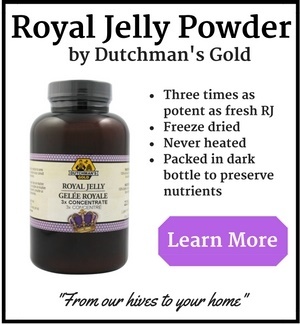 Well, for one, Royal Jelly is a strong anti-oxidant. And two, it appears to show promise in being able to protect us from the many toxins in the environment today. I recommend taking 3000 mg's of royal jelly daily for environmental and antioxidant protection. With antioxidants being all the rage these days (and rightfully so), it is exciting to see studies coming out revealing how potent an antioxidant royal jelly really is. Cadmium also induces oxidative damage in various tissues by altering your antioxidant defense systems. This tends to lead to cancer and premature aging. What the scientists found was that Royal Jelly benefits your antioxidant levels; it significantly suppressed the gene damaging effects of toxic cadmium and also boosted protective enzyme levels in the liver and kidneys. Very exciting! While you might think that you're highly unlikely to be exposed to cadmium in your lifetime, think again. It is in tap water as well as many soil grown foods, especially non-organic. Furthermore, we are all exposed to heavy metals on a daily basis now so extra protection is important if living a long, healthy life is important to you. To boost your antioxidant levels, try taking 2000 - 5000 mg of royal jelly per day. 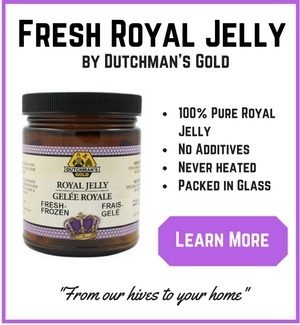 I recommend freeze dried royal jelly. Unfortunately, chemotherapy is an all to frequent reality for many of us today as cancer cases continue to increase. And while chemo has saved many lives, the fact that it is so potent often causes dreadful side effects in patients. This grim reality lead scientists to investigate the protective effect of royal jelly against the toxic effects of cisplatin on the reproductive organs. Cisplatin is a powerful chemo drug used to treat several types of cancer. Royal jelly was administered daily for 10 days to rats. The scientists monitored traits of the reproductive organs such as sperm characteristics and testosterone levels as well as damage in the testicles. What they found was that by giving the rats royal jelly daily while they were on this toxic chemo drug, toxin levels in the rats decreased while antioxidant levels increased. So what does this mean for you, especially for those of us who aren't undergoing chemotherapy right now? It actually means a great deal. Royal jelly can protect you from some of the most toxic substances on the earth, substances that we are exposed to on a daily basis in our water, food and air. For my clients that are looking to protect themselves from the many environmental pollutants that we all inevitably come in contact with, I recommend taking four to six 1000 mg capsules per day. In a study presented at the 7th German Apitherapy and Bee Products Congress in 2009, it was reported that royal jelly benefits eye health. In patients with nearsightedness who used royal jelly supplements, visual acuity and contrast sensitivity improved. In patients with Graves’ ophthalmopathy (an autoimmune inflammatory disorder affecting the eye), an improvement of visual functions and reduction of retinal blind spot was found. Furthermore, in patients with age-related macular degeneration who used royal jelly, an improvement in overall visual functions was found. This is very interesting research. Unfortunately, the study didn't state how much royal jelly was ingested by the participants to obtain these positive eye health benefits. I suspect the reason royal jelly benefits eye health so much is it's extremely high antioxidant content. These powerful compounds prevent further damage in the eye and by the sounds of this research, even help to repair damaged tissue. While it is hard to say exactly how much royal jelly to consume for optimal eye health, I recommend 3 - 5 1000 mg capsules or 1/2 teaspoon of royal jelly powder per day. It has long been known that royal jelly has potent anti-inflammatory properties. However, it was not known how royal jelly stacked up against common, over the counter painkillers like Aspirin. Could royal jelly reduce pain and inflammation quickly and safely without causing the gut issues or liver toxicity so commonly caused by acetaminophen and ibuprofen? A group of scientists set out to answer this question. In the study, rats were divided into groups and given different doses of either royal jelly, aspirin or nothing. They then induced edema in the rats. Edema is swelling caused by excess fluid trapped in your body's tissues. The results showed that royal jelly has a dose-dependent anti-inflammatory effect and the highest anti-inflammatory effect was observed in the doses of 50 and 100 mg/kg. In a 150 lb human, taking 50 mg/kg would equate to about 3500 mg's per day, which is quite reasonable considering royal jelly commonly comes in 1000 mg capsules. 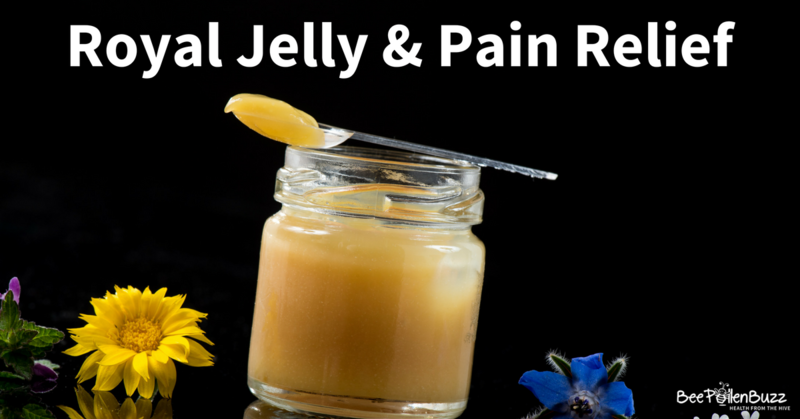 The next time you are suffering from joint pain, a headache, arthritis or a sports injury, try taking 3000 - 4000 mgs of royal jelly for several days or until the pain is gone. Not only will you likely eliminate the pain, but you'll save your gut and liver from the damage over the counter pain meds do to these parts of your body. We already know that royal jelly can boost brain cell growth or the regeneration of brain cells, which was once thought impossible. This study set out to determine if royal jelly can have a protective effect on the brain. To determine this, scientists administered to rats a neurotoxin known to kill brain cells. Interestingly enough, the neurotoxin used to do this is a common food dye called tartrazine. You might recognize it as Yellow #4 on food labels. If scientists use it to kill brain cells, it might be wise to avoid this food dye at all costs. The 1st group received distilled water (control group), the 2nd group was given 300mg RJ/kg bw (RJ group), the 3rd group was given 0.4ml CLO/kg bw (CLO group), the 4th was given 500mg T/kg bw (T group). The 5th group was given T concurrently with RJ (TRJ group) and the 6th group was given T concurrently with CLO (TCLO group), at the same doses as the former groups. All treatments were given orally for 30 consecutive days. The concentrations of different brain neurotransmitters, gamma amino butyric acid (GABA), dopamine (DA) and serotonin (5-HTP) were measured as well as antioxidant and oxidative stress biomarkers. The Tartrazine group revealed a significant decrease in the concentration of brain neurotransmitters as well as a sharp decline in the level of antioxidants in their brains. These include super oxide dismutase, catalase and reduced glutathione. There were also numerous apoptotic cells in the brain cortex compared with the other groups that received royal jelly, water or cod liver oil. Apoptotic cells are cells that are 'committing suicide' or dying. Higher levels of these cells indicated that the Yellow # 4 was likely causing the cells to self destruct. Interestingly, all the previously mentioned indicators of neural stress were eliminated in the group given royal jelly and tartrazine concurrently as compared to the group that only received the toxin. 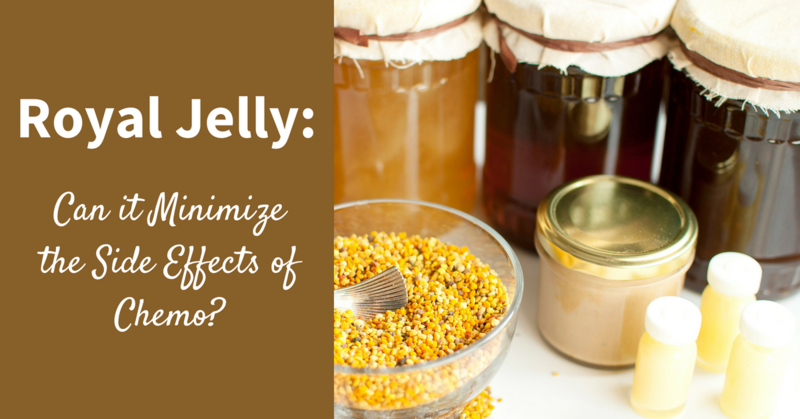 Royal jelly had a strong neuroprotective effect, completely eliminating the damage that the food dye causes. The scientists concluded that royal jelly is highly protective of brain cells. The equivalent of 20 grams per day of royal jelly was given to the rats in this study. This is a very high dose and not sustainable to consume. It remains to be seen if lower daily doses can have a similar protective effect in humans. 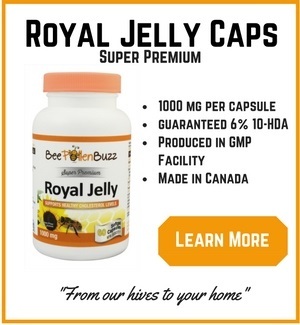 Because we have seen strong therapeutic benefits of royal jelly at much lower doses in other conditions, it is my guess that lower doses in the 1 - 3 grams per day range will prove to be neuroprotective. Journal of Ethnopharmacology, Feb 3, 2010. Iraqi Journal of Veterinary Sciences, Vol. 23, Supplement II, 2009 (155-160). Wastewater Environmental Technology, Volume 30, Issue 11 October 2009, pages 1205 - 1214. Journal of Med Food, 2009 Dec;12(6):1286-92. Urology, Published Online 17 July, 2009. Journal of Natural of Natural Pharmaceutical Products, 2015 Feb 20;10(1). Acta Histochem. 2015 Jul 16.